The case was a tough one and the verdict of $37,000 reflects the jury’s finding that our client contributed significantly to cause the crash. Police had ticketed the cyclist at the scene for causing the collision. The defendant driver’s insurance company had sent the cyclist a bill for the substantial damage done to his Lexus SUV. No settlement offer was ever made by the defense. The cyclist approached Harlem from the east. When he reached the crossing, marked with thick white diagonal lines, he saw that the light controlling cross traffic was red so he proceeded. At the same time, the defendant was stopped in the left turn lane on Harlem waiting for the light to change so he could proceed west on 131st Street. As the cyclist entered the crossing, the left turn arrow controlling the driver’s lane turned green and he proceeded. The bicyclist struck the left side front quarter panel of the vehicle and fell to the ground breaking his left wrist. The break was bad, requiring surgery. Our biggest challenge at trial was overcoming the defendant’s assertion that our client knew the traffic signal was changing and attempted to speed across the intersection to beat the light. The defendant’s attorneys had two important pieces of evidence to support that position. One, was the testimony of a witness, an emergency medical technician, who happened to be in an ambulance stopped at the intersection facing east on 131st Street at the time of the crash. 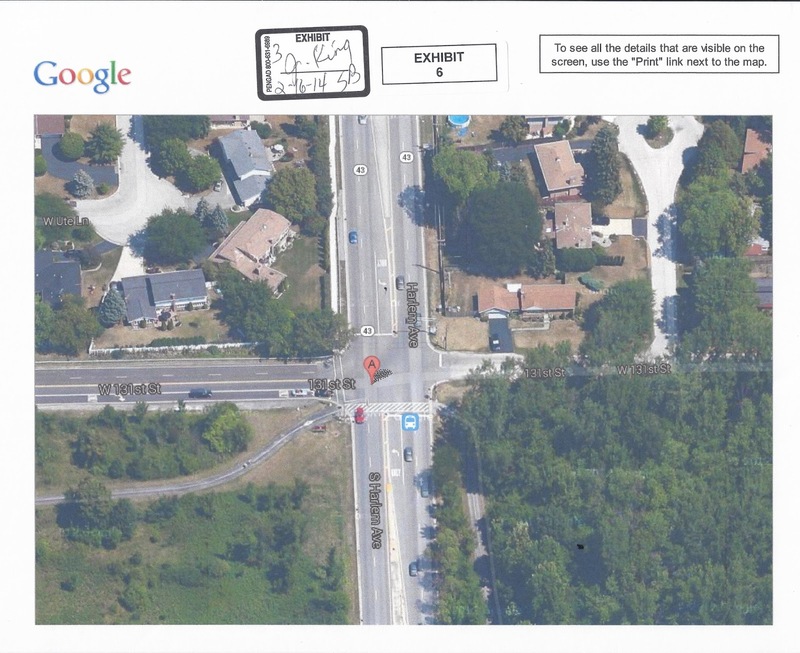 He testified that while his vehicle was stopped at a red light at 131st and Harlem he saw the man on the bike cross at what seemed to be a high rate of speed just before the collision. The implication was that if the ambulance had a red light then so must have the cyclist coming from the opposite direction. Secondly, the defendant argued that the extensive damage to the SUV and the severity of the bicyclist’s injury suggested a relatively high speed collision; again, supporting the notion that the cyclist was trying to beat the light. Honestly, we were worried. It was based on the witness’s observations that the responding police officer laid fault at the feet of our client. Would a jury do the same? The jury never heard that the cyclist was ticketed. The citation was thrown out and generally the fact that one party or another received a traffic ticket is not admissible evidence at trial. It is the province of the jury to determine fault based on the evidence, not that of a police officer making a snap decision based on someone’s observations. We were able to demonstrate that the witness was very unsure of what he saw and when he saw it. Also, the law and evidence strongly supported our position that the driver failed to look before proceeding into the intersection. The witness felt certain that his vehicle was stopped at a red light facing east on 131st Street when the collision occurred. However, he could not say that the ambulance had quite reached the intersection when the cyclist first started across Harlem. This allowed us to argue that our client entered the crossing when it was still legal for him to do so, but that he simply got caught in the change of lights. 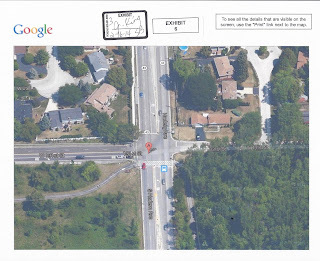 During my closing argument I showed the jury a blow up of a portion of the Illinois Vehicle Code which instructs drivers how they must proceed when facing a light that has just turned green. Section 11-306 requires that a motor vehicle facing a green arrow signal, “Shall yield the right of way to pedestrians lawfully within an adjacent crosswalk and to other traffic lawfully using the intersection.” Certainly bicycles are “other traffic.” Since the point of impact was with the front side of the SUV, had the driver looked before proceeding the cyclist would have been visible to him just a couple of feet to his right. Therefore, he either did not look, despite his insistence to the contrary, or he looked but did not see our client. Either way, I argued that the defendant violated section 11-306 and was negligent. Getting caught in the change of lights is a consistent problem for bicyclists. When crossing a wide intersection — Harlem at 131st is five lanes wide — there is a good chance that you will get caught in the change of lights. Bicyclists should be mindful of any crossing countdown, if there is one, before starting into an intersection. Consider whether your light will remain green, or at least yellow, until you reach the other side. On the other hand, drivers simply must look before proceeding. The law, and common sense for that matter, makes it clear that a driver cannot simply charge forward on a green light.